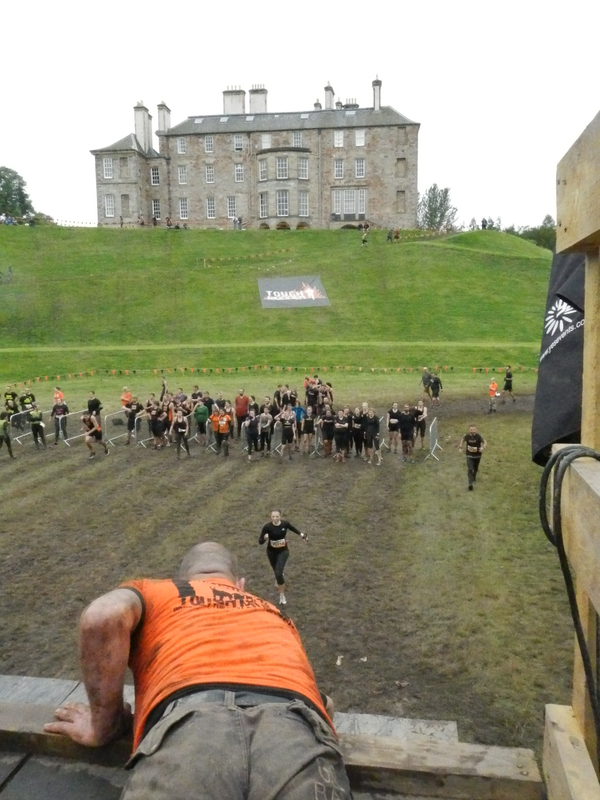 Some photographic highlights of day two of the Tough Mudder event held in Dalkeith Country Park, just outside of Edinburgh. Enthusiasm, mud and plenty of camaraderie were the order of the day. 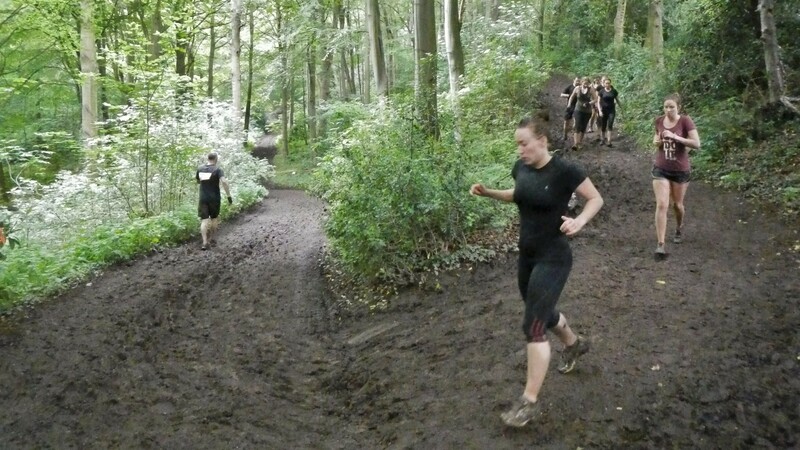 Great work Mudders and thanks to the organisers & volunteers for a great day out! Teamwork got competitors up the halfpipe known affectionately as “Everest”, with views of Dalkeith Palace in the background. 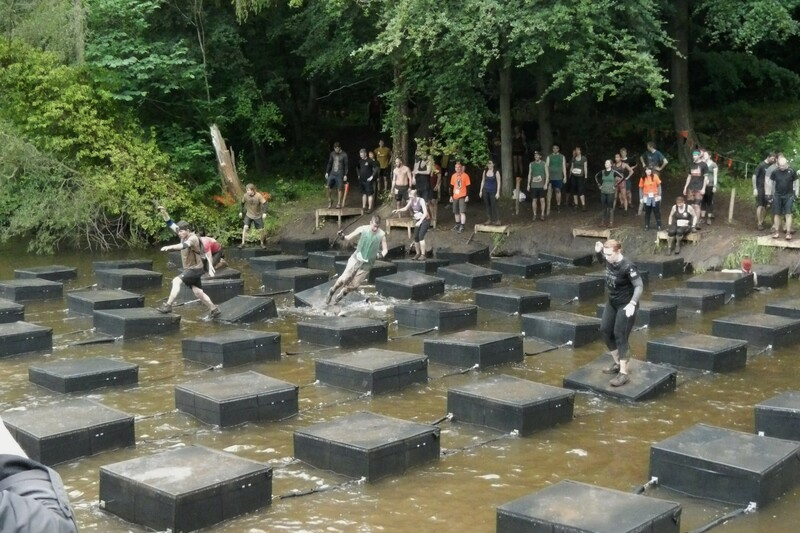 Most obstacles required fitness and coordination to avoid getting soaked or splattered. I was probably in the minority of runners who took the time to appreciate the smell of wild garlic as we ran through beautiful trails in the countryside. The run itself was about 12 miles. 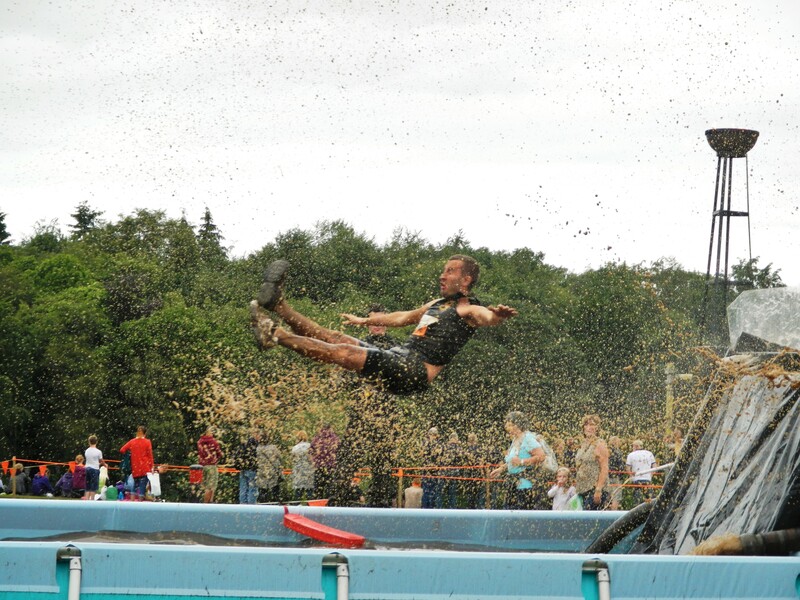 “Fire in your hole!” – Previous Tough Mudder finishers were treated to an alternative final obstacle which involved being launched down a waterslide and metres through the air before landing in a pool of water. Epic! 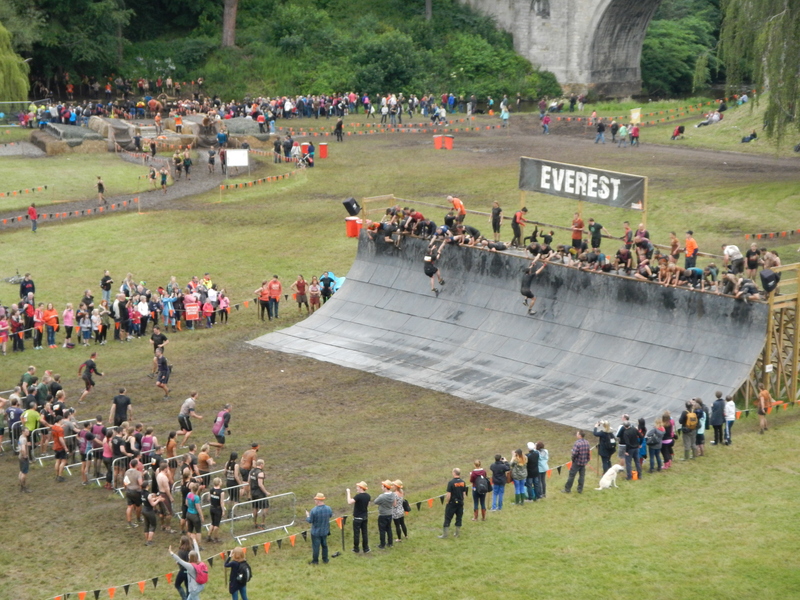 “Everest” required the most teamwork between competitors. Once up the half pipe, competitors are expected to assist others getting up. This was one of the highlights of the day for me. What a cool spot to do a race.